A great escape & luxury experience. We loved our stay, exceptional customer service, great location, friendly/hard working staff and beautiful beautiful food. The boys love the snorkelling / diving trips. We look forward to come back for a longer stay next time. We thank you for all the good service fun music and care you showed us ,we wish we did not have to leave , hope all the revamp turns out great for even more things and up grades to suit all family's . All food and drinks where much enjoyed by all , thanks also for Roy's special treatment for his 70 th birthday , for all the effort you made for all of us . Food was fantastic. 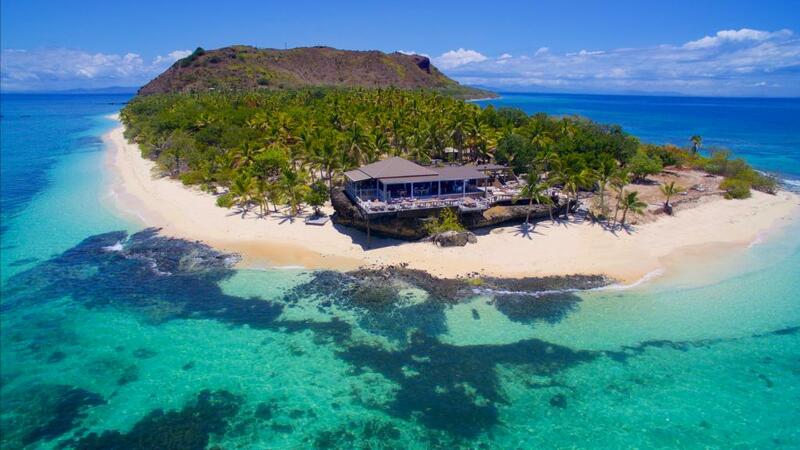 Unbelievable in any setting, let alone Fiji. Very friendly, clean, helpful staff, lovely island. Everyone we spoke to on the island was like us - just so happy to be there and enjoying everything about it. We travelled as a family of 5 to Vomo Island. We had a lovely holiday , 'the best ever'. We would like to return however the tariff for a family of 5 is prohibitive due to the resort requirement to limit 4 persons in one villa. We we required to take out two adjoining villas which was very expensive . We would go back if they were able to provide an alternative. Otherwise we will seek out an alternate Fiji destination. great place, fantastic food, stayed in november last year. My kids had allergies and the director f and b , I think his name was Amit, he came personally and made a menu for our kids and first time in any hotel stay, my kids didn't have any reaction. Baby sitters are great, and the kids were very happy with the kids club, lots of stuff to do, new team in the activities center, nice people very laid back but with a great smile. The highlight of the place has to be the high standard and quality of food, and nothing gets repeated. Beautiful resort with great food, accommodation, facilities and amazing staff. A fantastic stay and we had a great relaxing time. The island and resort are beautiful with excellent staff. Food was outstanding too. the service and staff make your stay amazing. with a few improvements the rooms would could be more then average. E.g a proper shower outside room to remove sand. better finishes for the price paid. Overall Vomo Island is quiet nice. The staff were friendly, lovely to deal with and always willing to help. Yes there was a little \"Fijian time\" to get use to but that added to the charm and helps you get into holiday mode. Once we worked out going to the bar directly to order our drink before we sat down for a meal was a quicker way of getting a drink all was good. We found the meals a little tiresome, but this may have been due to our expectations. Maybe some lighter meal options with salad and vegetables would have been nice. As a vegetarian it was good to see some dedicated vegie meals, however pasta every day in a hot climate was a bit hard to stomach. It would have been nicer to see standard meals with vegetarian options (e.g. on our the last day it was good to see a veg option for the caesar salad). An easy way to make vegetarian option is to offer fresh vegetables instead of meat in a meat dish, not just taking the meat out something needs to be added back into the meal to complete it. All of this aside we had a great time and really have no complaints. My 11 year old enjoyed the kids club and meeting the staff kids, who were delightful and really helped to make new kids welcomed. Our overall holiday was fantastic, from start to finish. The staff where very welcoming and certainly made our stay perfect. Vomo is an absolute delight.